Yesterday, to start to weekend on the right foot, me and my precious girlfriend went to see The Desolation of Smaug. Observation: Kinepolis, please fix the broken and disgusting seats in auditorium 7. New Zealand director Peter Jackson is cranking out these Hobbit movies at a record pace, by the way, with An Unexpected Journey, which we both liked very much, released just 377 days earlier. Picking up where AUJ ended, Gandalf (Ian McKellen), Thorin (Richard Armitage), Bilbo (Martin Freeman), and the dwarves are being chased by Azog (aka Spartacus star Manu Bennett) and his orcs. Luckily, the ensemble finds refuge in the home of skin-changer Beorn (Mikael Persbrandt), who is not particulary fond of dwarves, but hates orcs even more. Azog is then summoned to Dol Guldur, at which point Bolg takes over the hunt for Thorin. Just when the company reaches Mirkwood, the shortest way to Lonely Mountain, Gandalf warns Bilbo and the dwarves not to stray from the path, and then mysteriously leaves. I was first and foremost impressed by the elaborate and talented cast, which also included Orlando Bloom, Evangeline Lilly, Luke Evans, Stephen Fry, and Sylvester McCoy, among others. Bloom, in particular, had some impressive scenes, representing in principle the action-packed nature of Jackson's prequel trilogy. 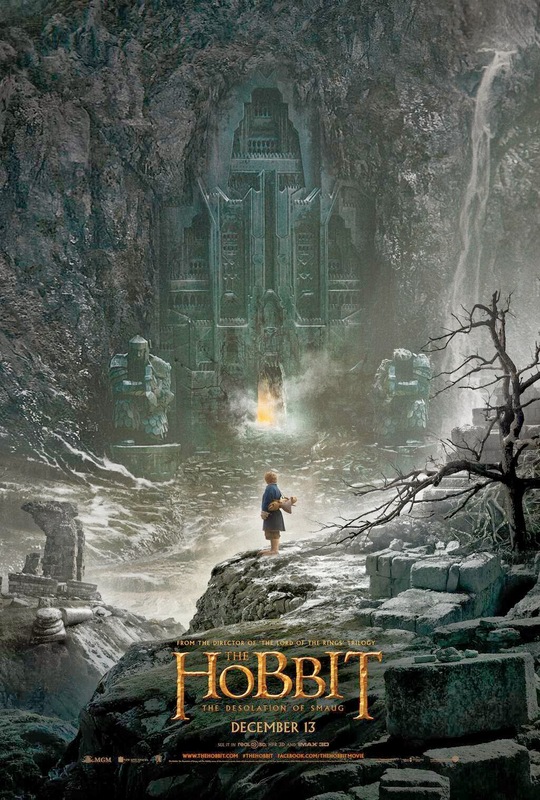 Excluding my favorite scene in The Desolation Smaug, a bloodcurdling exchange between Bilbo and the merciless dragon, the epic 161-minute adventure relies perhaps a bit too heavily on action scenes, albeit executed in such a masterful way that it will thrill and entertain moviegoers. "Had you will have been looking forward to it?" "I swear I'll get you back home"
"Love, lie and be handsome for tomorrow we die"